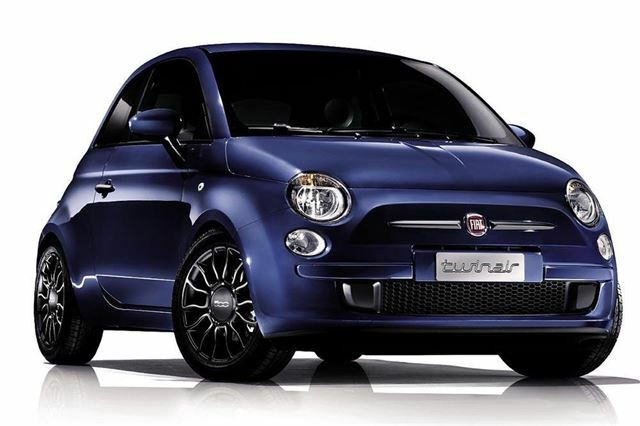 FIAT's fun to drive 500 TwinAir has become a separate 500 model. Available in two trim levels – TwinAir and TwinAir Plus – the new line-up is considered the ‘perfect Fiat 500’ not only in terms of value for money, but also in engine technology. The 0.9-litre TwinAir engine is widely deemed to be the unit that best suits the 500’s fun-to-drive attitude. Its high torque at low revs and environmentally-friendly credentials help make the 500 a serious contender among rival city cars. With a 95g/km CO2 figure it is also entitled to travel across London without incurring the capital’s congestion charge. The TwinAir gets a sport kit (which oncludes a chrome exhaust pipe and spoiler), a metallic effect dashboard, sport seats, a black interior surround, 15-inch matt black alloy wheels and air conditioning. The TwinAir Plus adds 16-inch matt black alloy wheels, automatic climate control instead of air conditioning, Blue&Me, a sport leather steering wheel with eight commands, a leather gear knob, dark tinted windows and body coloured door mirrors. The new range starts at £11,600 OTR for the TwinAir, rising to £12,700 for the TwinAir Plus.